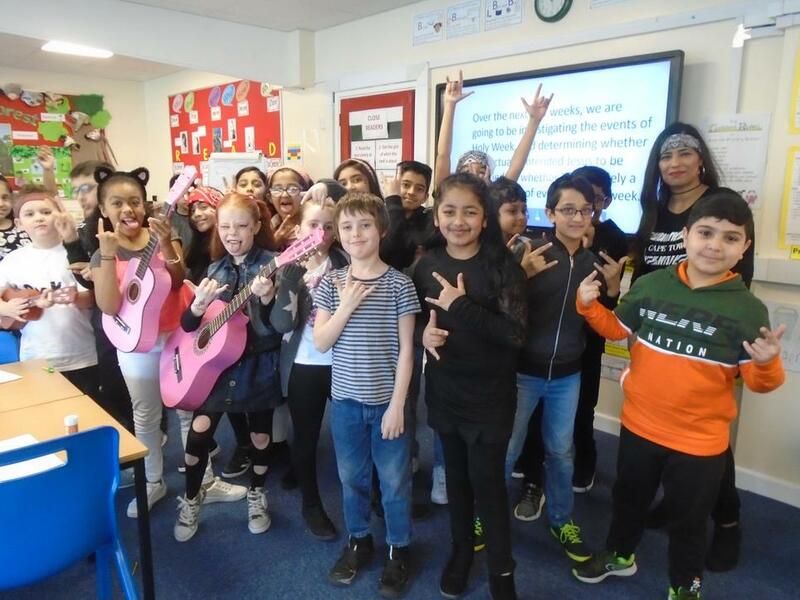 On Friday 1st March we launched our new Maths initiative Times Tables Rockstars. This is a year long whole school programme which will improve yours child's confidence and recall of Times Tables facts. This will greatly benefit their number work and problem solving skills. All children from 1-6 have an individual login which can be accessed on all media, at school and at home. 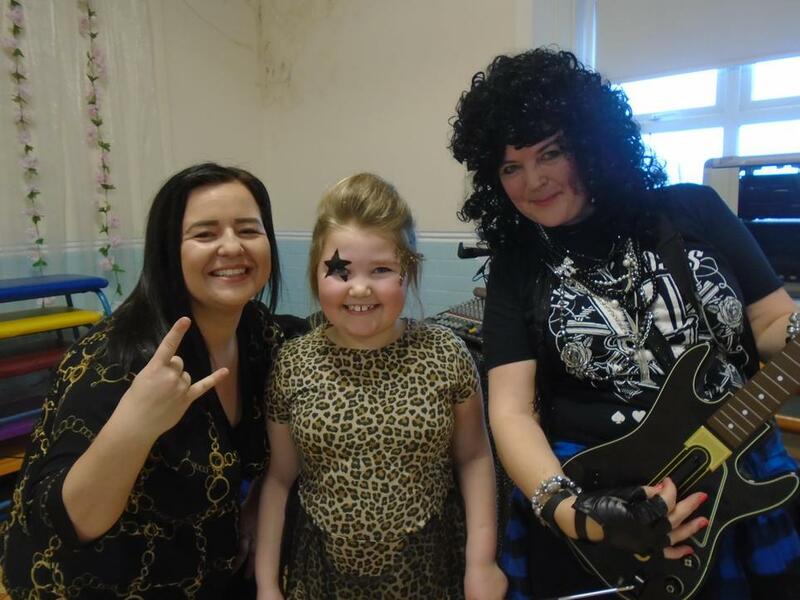 We were extremely fortunate to have a real life singer - Stacey Kay - to come in and perform at our Rock concert on Friday morning. 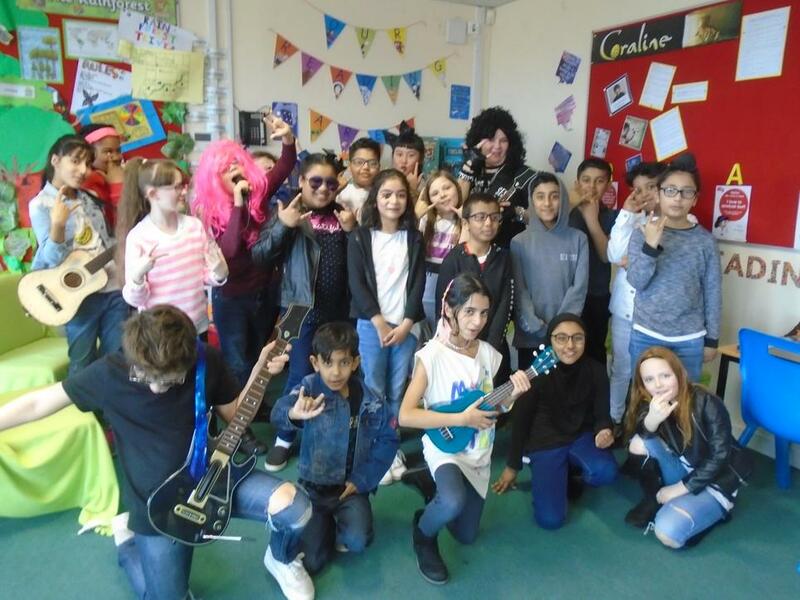 The children were incredibly excited and we all had a fantastic time, singing along to Rock songs and dancing to the well-known tunes. Mr Chatterley also performed a medley of Rock Rifts for the children. 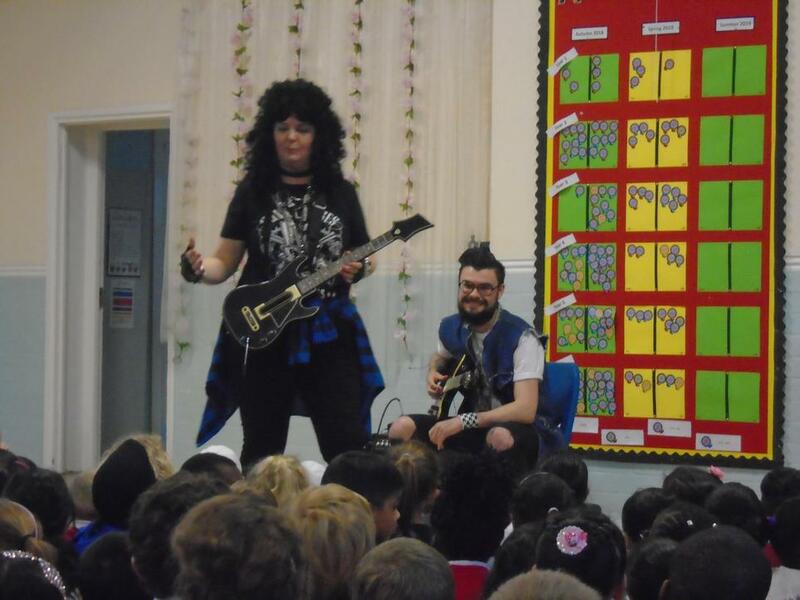 Staff and children had a wonderful day, practising their times tables and being Rock stars. Many thanks to all parents/carers who made such an effort with costumes for the children. We are sure you will enjoy the photos of our Rocking Good day! !